Daisy has two dimples in her cheeks when she smiles. The actor, Kirk Douglas, has a dimple in his chin. The harsh weather dimpled the concrete sidewalk. 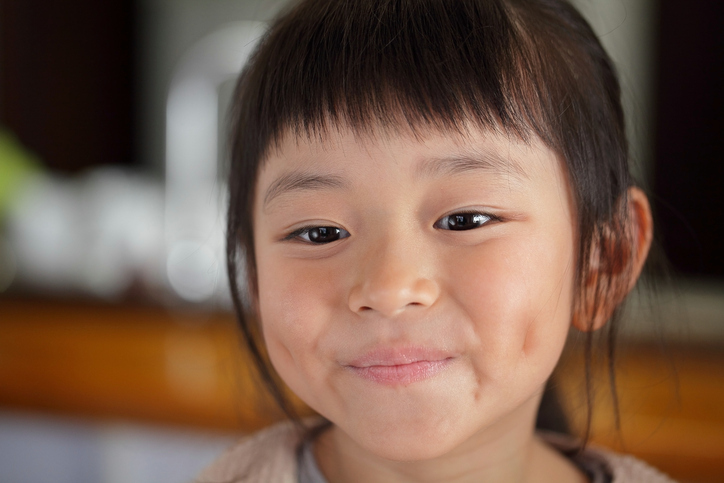 Dimples can show up in places besides on a person’s skin. For example, the indentations on a golf ball are called dimples. There are other meanings of dimple.